Spring is an opportunity to shed our bitter-weather blahs and adopt a happier, more mindful attitude. 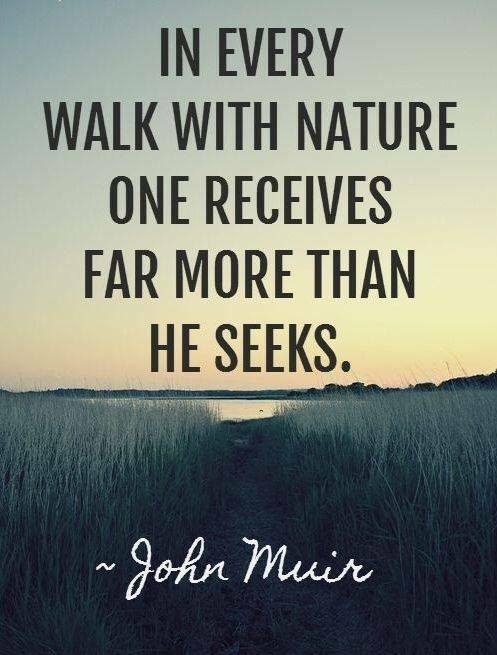 And what better way to do that than reconnecting with nature? There are some serious health perks to getting outdoors, from relieving stress to boosting brain function. If that doesn’t convince you, take a look at the inspirational illustrations below, which remind us not only to appreciate our lush surroundings, but know there’s always room for growth. So long, winter blues! So true! I love my time in nature, in the garden, hiking in the hills and even moments walking through our local park. Birds, bees, insects and on my hikes, deer and rabbits.